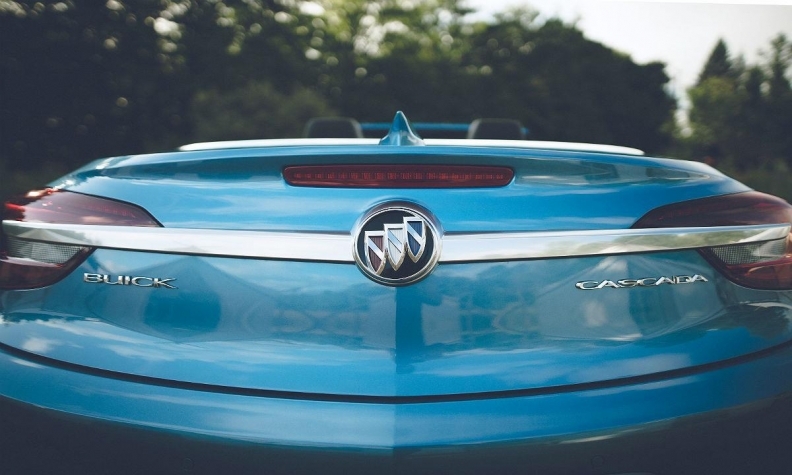 Buick's U.S. lineup now has seven vehicles, including four models derived from Opels. DETROIT -- Buick’s sales success and product expansion in recent years have been driven by General Motors’ decision to incorporate platforms and vehicles from the Opel division into the brand’s lineup. If talks between GM and PSA Group lead to the sale of Opel, Buick’s lineup likely would be affected. However, GM already has gotten more out of Opel for Buick than many ever would have imagined eight years ago -- the last time the automaker nearly sold the German division. After GM emerged from bankruptcy in 2009, executives tapped Opel to fill out Buick’s thin product portfolio, which consisted then of the LaCrosse and Lucerne sedans and the Enclave crossover. Buick’s U.S. lineup now has seven vehicles, including four models derived from Opels: the Encore small crossover, Cascada convertible, Regal midsize sedan and Verano compact sedan, which ended production in October for the U.S.
Buick spokesman Stuart Fowle said it was too early to comment on the potential impact of an Opel sale. “Right now, we’re moving forward as Buick, and we’ll cross that bridge if or when we come to it,” he told Automotive News. Dave Sullivan, an analyst with AutoPacific, doesn’t believe Buick would be impacted heavily if the sale goes through, as the brand’s focus has shifted to China. “I don’t think we’re going to feel it here in the U.S. in terms of product life cycles because I think China has taken the lead on Buick development,” Sullivan said. The most successful Opel-Buick for the U.S. has been the five-passenger Encore, sold in Europe as the Mokka. The South Korea-built subcompact crossover blew past company and analyst expectations, with GM having trouble keeping up with demand. Sales last year increased 16 percent to more than 78,500 vehicles, making the Encore Buick’s top-selling model by more than 26,000 vehicles. The Encore’s success is validation of a gamble by GM four years ago to be among the first automakers to introduce a subcompact crossover to the U.S. It led the brand’s ongoing charge to utility vehicles, which accounted for nearly two-thirds of Buick’s 229,631 U.S. sales in 2016. That share is expected to continue to grow with the arrival of the China-built Envision last year, a refreshed 2017 Encore and a redesigned Enclave expected to arrive in mid-2017 as a 2018 model. The Enclave is expected to be on the same platform as the 2018 Chevrolet Traverse, which is a long-wheelbase variant of the platform for the 2017 Cadillac XT5 and 2017 GMC Acadia. The next-generation Regal could be impacted by an Opel sale. GM recently released photos and some details of the Opel/Vauxhall Insignia Grand Sport, on which the Regal is based. The Insignia, up to 385 pounds lighter than the current version, suggests that the Regal will become slightly wider and lower, with a longer wheelbase.